With each week of this Jamie Ministry of Food course I am attending, there are some lovely recipes to take away and repeat at home. Some of these methods I would not necessarily have tried on my own especially when they seemed so simple like this Evolution Potato Salad and I have enjoyed the different choice of ingredients. 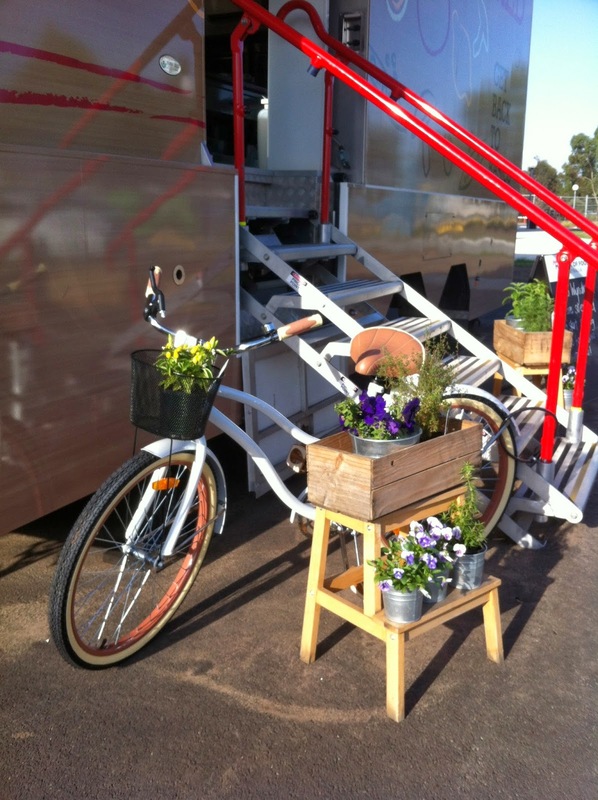 Its very welcoming when we arrive at the pop up trailer kitchen. 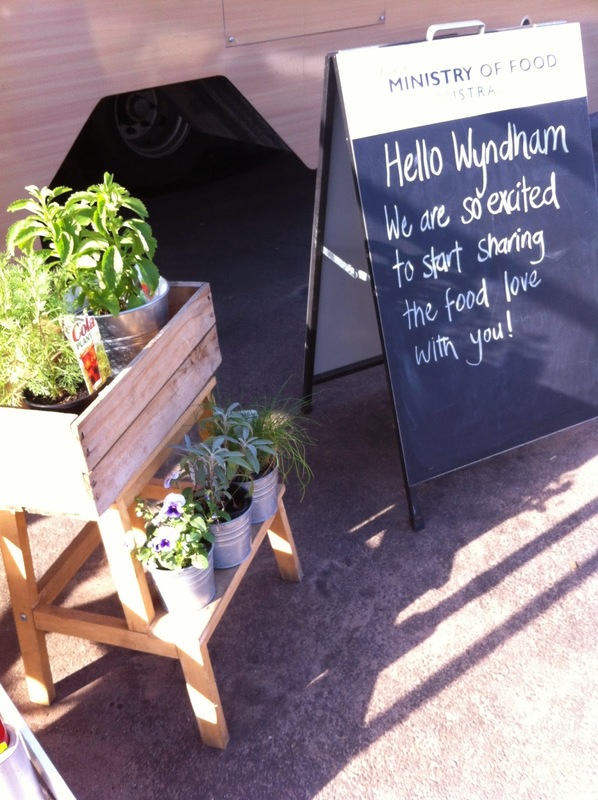 Fresh herbs displayed outside and our aprons folded neatly on the boards ready for us to cook. We go through some OH&S rules and kitchen etiquette, and then its full steam ahead. Each week we come away with not only left overs but our folders are becoming stuffed with recipes. The emphasis of this series of lessons is not to overcook the food especially vegetables and potatoes are no exception. It also concentrates on using less salt, sugar and fats. Add potatoes to the boiling water and bring back to the boil for about 10-15 mins, depending on size. Test potatoes with the point of a knife to make sure they are cooked through. When cooked drain well in a colander and put them into a bowl. Season with salt and pepper and stir well. 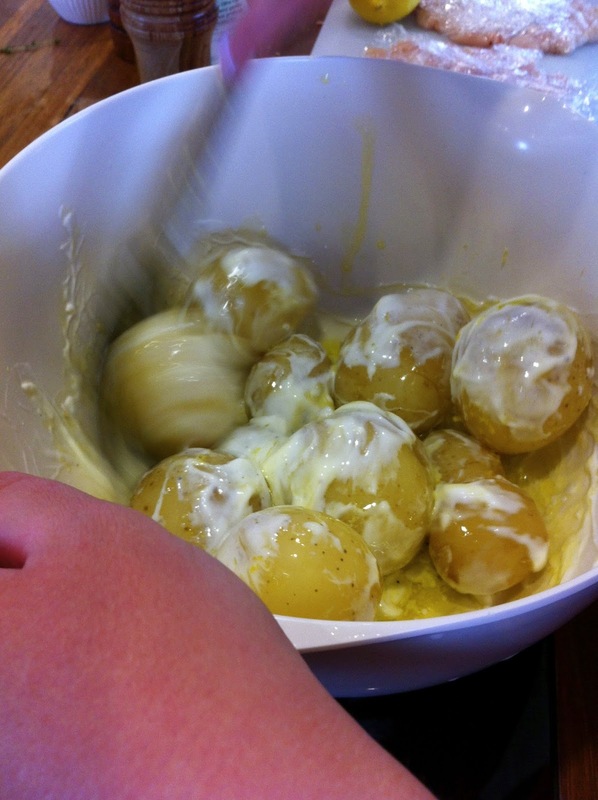 Add the yogurt and zest of lemon and combine so all the potatoes are well coated. Try this simple potato salad for yourself, you will love it. I always pick up some little tip if not a whole new recipe. I love it. I can't wait for new potatoes, I often use dill or fennel if I don't have chives in my potato salad. The course does sound fun. I will be quite sad when it is finished Jude. I have not used dill or fennel in a potato salad - my mother in law always uses fresh mint and I like that too. 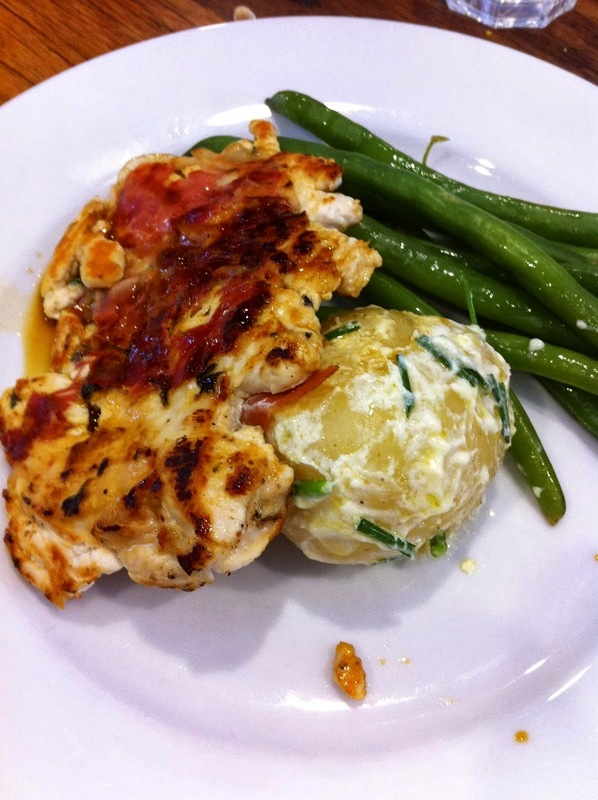 Sounds like you are enjoying your course - thanks for sharing the potato salad recipe. I accidentally went to a picnic last week without potato salad so it wasn't really a proper picnic :( I will be making this one for sure for the next picnic. I love the lemon and yoghurt dressing - a bit sharper and lighter than the traditional mayo version. The sharpness of the lemon and yogurt was really refreshing, a nice alternative to mayo. Do look out for it if it comes your way I am sure you would enjoy it too. Loved these potatoes done with the lemon and yogurt - this is about cutting down the calories by making your own dressings instead of those packed with fat and sugar. I can also use that type of help!! need this in my life... what lovely photo's, i'm so excited about the weather being better! Yes UK weather has been pretty awful from all accounts. Although we do only get it on the news when it is particularly bad. New potatoes are just so nice when they come into season, announcing spring/summer is here. This yogurt and lemon spritzed dressing is a nice summery alternative - hope you like. what a lovely fresh-sounding potato salad! 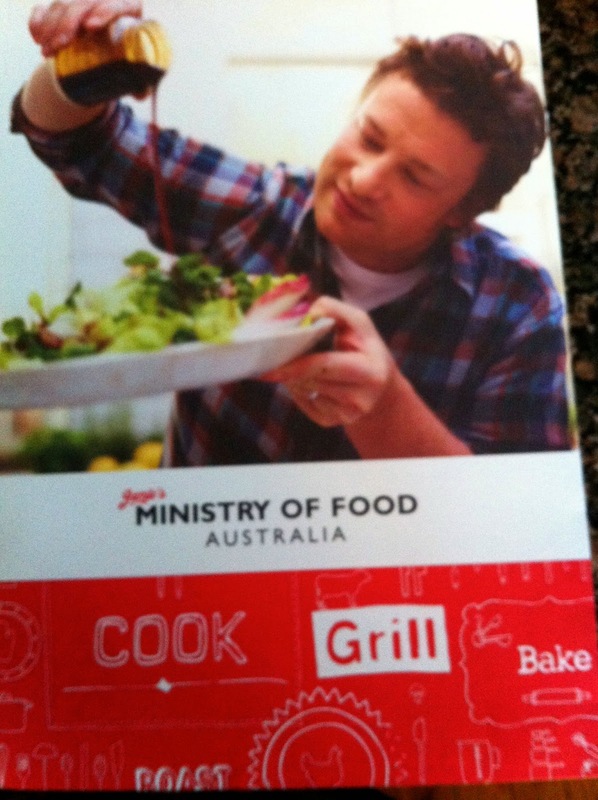 I do love Jamie Oliver - glad you're enjoying the course! It has not been a "show stopper" course but I have learnt some really nice subtle tips and tricks that I will use forever. I love Jamie's style of cooking. 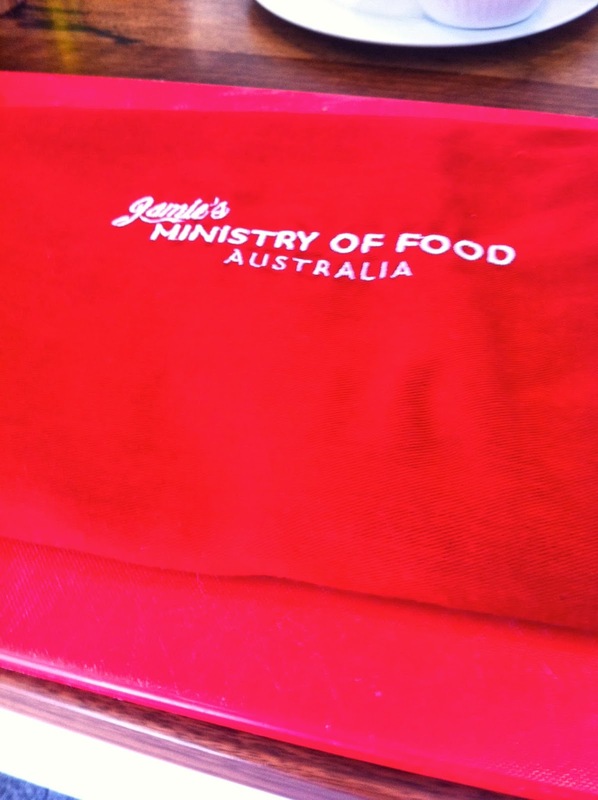 The Jamie's Ministry of Food sounds like fun. I like the sound of his simple but healthy food. 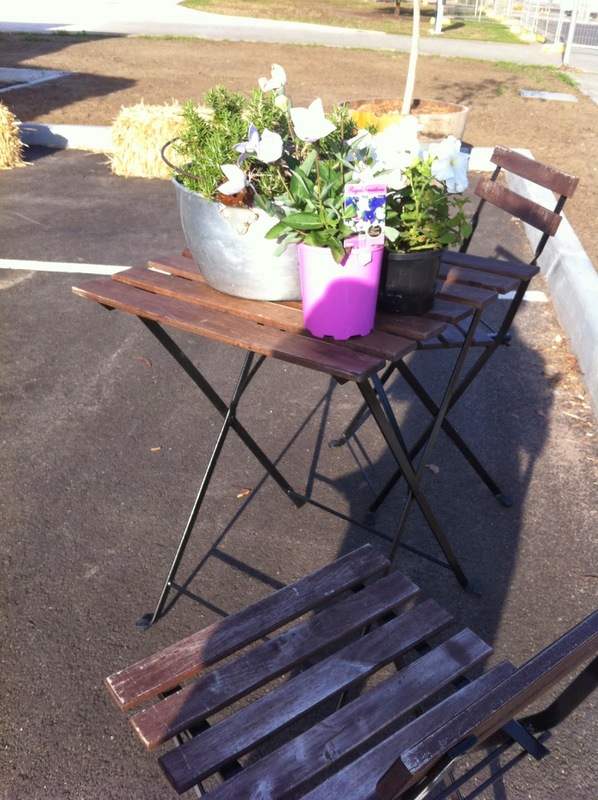 I'm catching up with reading blogs so missed out on your classes until now. Do you actually get to meet Jamie? I will definitely try this out, I'm a big potato fan. No they just play a video of him to talking to us. But he has been out to Australia recently so I don't doubt that he dropped in on someone! How exciting would that have been. Well my mother always put potatoes into cold water and I had followed her lead. This was a new version of par boiling veg I think mostly to just cook the outside so that when they went into the oven the soft outsides crisped up - that's my only explanation. But I must say they were quite delicious and cooked perfectly….. I had no complaints. Sorry in addition to above the roughing up was for the oven roasted (which we did later) and for the potato salad it prevented overcooking - they continue to cook as they cool so that they stay firm and not go too mushy once especially since you then add the other dressing. I LOVE recipes like this Denise and your images are so wonderful too! Thanks Karen - it was such a lovely little course. Looks delish! I always love me a good potato salad. :) The cooking class sounds fascinating.